The above quote and title of this treatise have served as the inspiration for millions of warriors from the days of Leonidas and his Spartans to the modern infantryman. 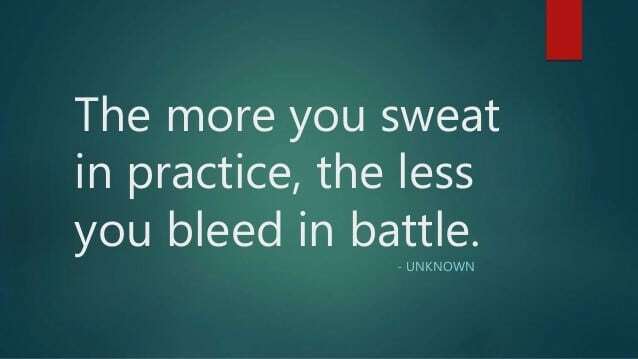 The “bleeding” part is often decided by the unseen hand that guides our fate or destiny but nonetheless, the intent of the quote resides in the centuries-old belief that only through a rigorous training regimen can you expect optimum performance on the battlefield. The “battlefield” however, is not only in a faraway land as a band of brothers struggles to outflank our nation’s enemies. The most benign locales such as a restaurant, a church, a shopping center, or a high school hallway, can become a battlefield in a matter of moments when an average citizen is thrust into the combat role to face off against a deranged active shooter. So the question that we must all ask ourselves is this – Have we trained hard enough to be victorious in an armed confrontation with a bad guy? Let’s be intellectually honest here. Scoring a perfect score on a concealed carry qualification at most gives the armed citizen a false sense of security. The high score only confirms adequate marksmanship skills in a controlled, non-threatening environment. Only through repetitive and advanced down range drills will a shooter reach the performance level that instills confidence for action. “Well, I’m not dishing out another $100 bucks for advanced training when I just paid for a Concealed Carry class and another $150 to the state to boot!” Okay, if money is tight, we get it….but at least practice dry-fire and the holster draw at home. What makes OnTarget such a fun place to work is that it serves as the platform for our instructors to use their real-world experience toward the training of Americans to defeat the bad guys out there. If you have the means and the time, use us to accomplish your tactical shooting goals. That’s why we offer so many classes because we want our customers to scale the training ladder and exceed their wildest expectations. The next day after the Parkland shooting, we quickly channeled our sadness and frustration into action as we set in motion our desire to protect our kids and offer free Concealed Carry training to teachers and educational staff. Critics said it was a “publicity stunt” which we quickly countered by clarifying that a publicity stunt is a business tactic without emotion or passion. Whether or not Illinois decides to arm select educators, the fact that 500+ teachers and education staff who have already signed up or taken our complimentary Concealed Carry class sends a resounding blast over the port bow of the Illinois State Board of Education and our Legislature. Our trainers certainly have the passion for developing highly skilled shooters and the compassion to focus on their individual needs. An important quality in an OnTarget instructor is his or her range of training delivery. They can be kneeling to help a child in a morning “Tot Shots” class and runnin’ & gunnin’ that same night in a high-velocity Operator course. 2018 is a big training year at OnTarget as we begin teaching the 3-Hour Concealed Carry Renewal classes beginning this September. Be sure to register this summer and choose from our variety of training dates during the fall. Also in September, OnTarget has partnered with the McMiller Outdoor Range in Eagle, Wisconsin where we will run our first annual “3-Gun Tactical Challenge”…a worthy goal of any competitor who desires to test his or her tactical skills in a fun, action-packed event. In order to compete in this exciting shoot, participants must first take one of our 3-Gun Tactical Workshops on August 11, 18, and 25.